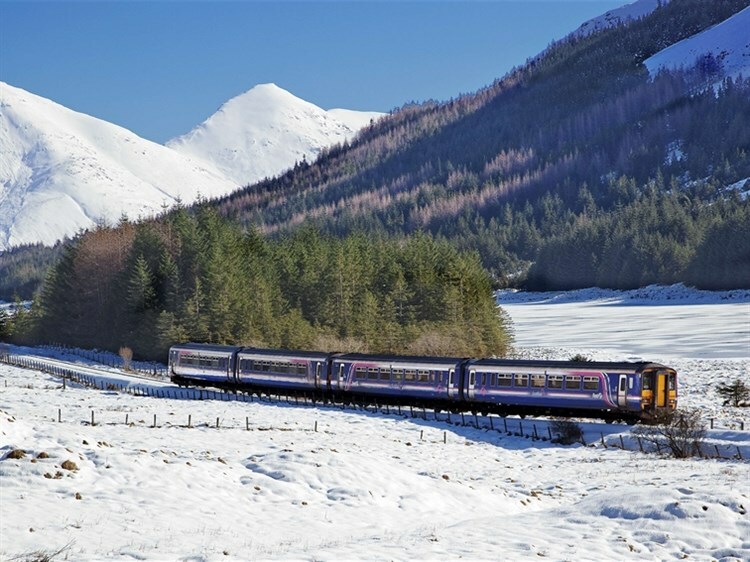 The West Highland Line, the Kyle Line & the Cairngorms Line - experience a truly magical pre-Christmas rail tour of the Scottish Highlands in all their wintry glory, followed by a relaxing and homely Christmas in Stirling with all the trimmings and an excursion to Edinburgh. 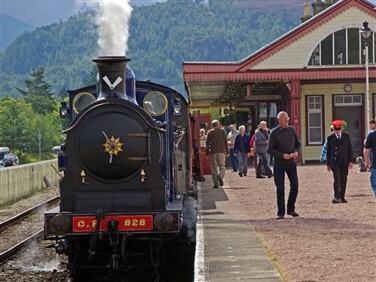 Travelling by train to Stirling, we meet at the Stirling Highland Hotel, enjoying a welcome tea or coffee. Explore the handsome city or enjoy the hotel's leisure facilities ahead of dinner. An early start this morning, as we depart Stirling for Glasgow. 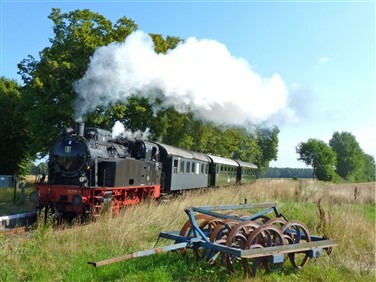 Here we change onto the West Highland Line. Catching the railway during the seasonally limited daylight hours, we skirt the shores of Gareloch, Loch Long and Loch Lomond, with scenery becoming ever more dramatic, before we climb high across the heather of Rannoch Moor, whose splendid isolation can only be experienced by train or on foot (no roads lead here). 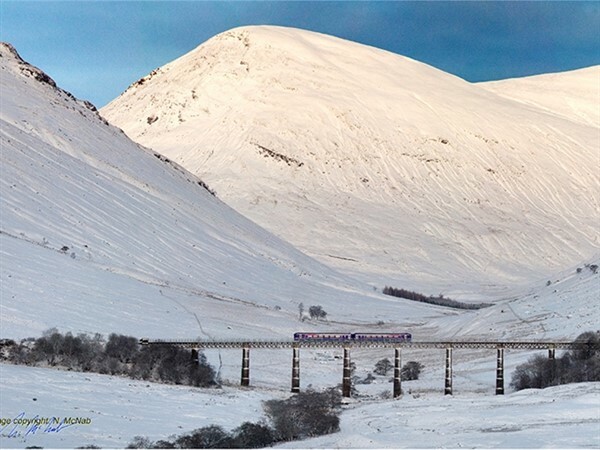 One of the world's greatest railway journeys then descends into Fort William, in the shadow of brooding Ben Nevis. On arrival a coach takes us the short distance to the Nevis Gondola cable car which whisks us high up Aonach Mor for incredible views. The Ben Nevis Distillery then awaits for a tour and a warming 'wee dram' before checking into the Alexandra Hotel for two nights. 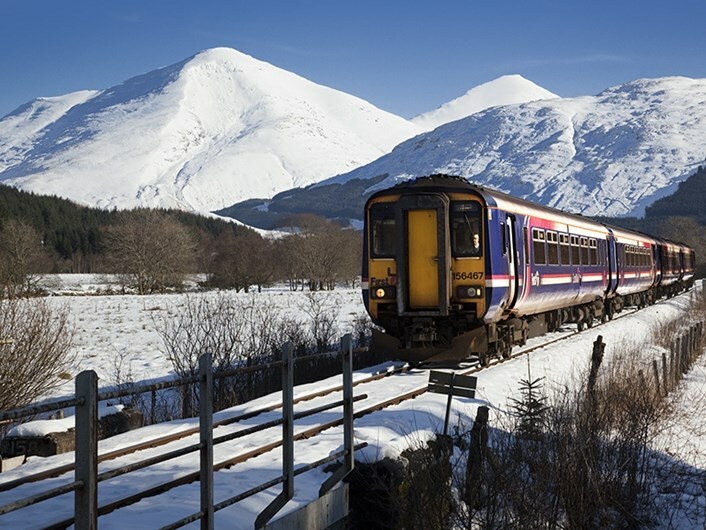 Today we rejoin the West Highland Line for the final part of the epic journey to Mallaig. Trundling first past the Caledonian Canal's locks, we head through rocky mountain landscapes, crossing Glenfinnan Viaduct, where Bonnie Prince Charlie's monument and Loch Shiel are viewed before bursting out onto the Atlantic coastline of golden white sands with distant views of Rhum and Eigg. 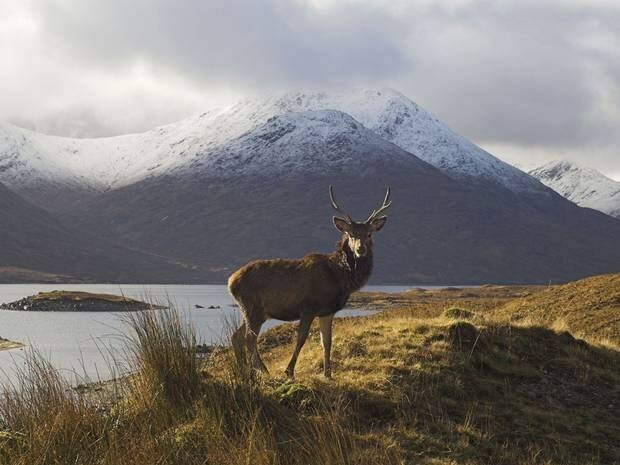 Enjoy time in Mallaig with views across the sea to Skye before returning to Fort William. A truly stunning coach journey heads through untouched lochs and glens, past the romantic Eilean Donan Castle en route to Kyle of Lochalsh, overlooking Skye. 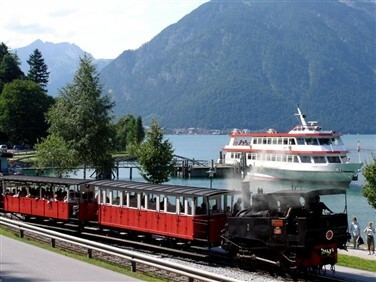 Here we join the original 'Great Railway Journey of the World' made famous from Michael Palin's trailblazing programme - The Kyle Line. 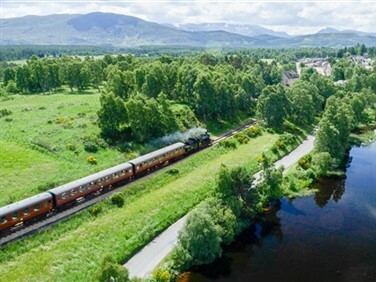 Leaving the western seascapes behind, our train climbs past lochs and forests, stopping briefly in small hamlets, before descending to Inverness, where we stay for a night at the Mercure Hotel in the city centre. Our morning train once again allows incredible daylight views of the Grampians which we cut through on the Cairngorm Line. Passing the ski resort of Aviemore and the charming town of Pitlochry, we arrive back in Stirling for included lunch at the Stirling Highland Hotel. In the afternoon why not relax in the hotel, which will show a festive movie on the big screen with popcorn. Dinner is followed by live music this evening, we are treated to mulled wine and mince pies later in the evening as Christmas Day approaches. After an action packed few days, unwind in the homely surroundings of the Stirling Highland, enjoy its leisure facilities and, above all, relax. At lunchtime, a sparkling wine reception precedes a sumptuous Christmas lunch with all the trimmings. 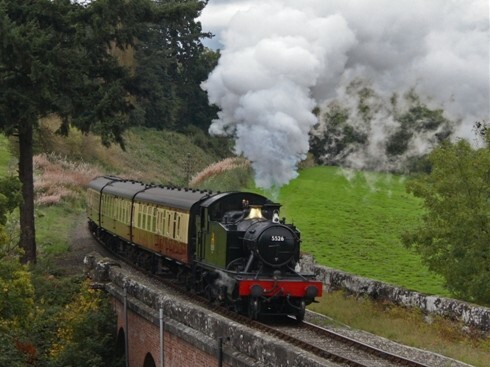 The hotel organises a treasure hunt around Stirling in the afternoon or a festive movie. A light buffet ends the day with entertainment. 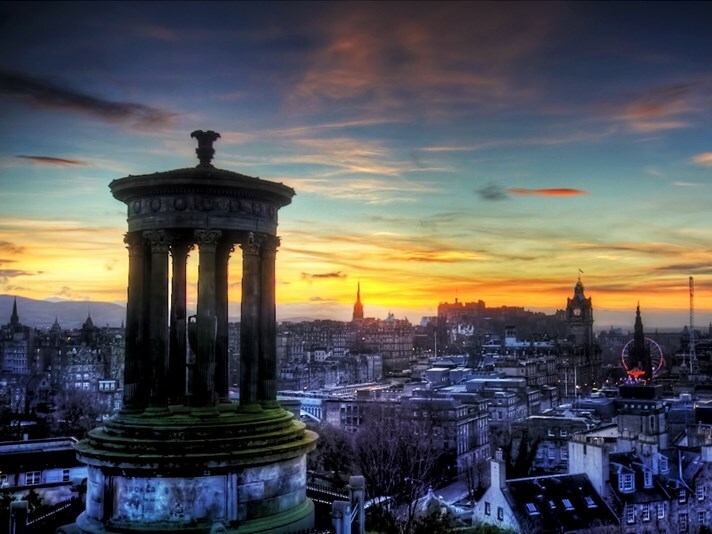 Our coach excursion takes us to Edinburgh, Scotland's proud and handsome capital. 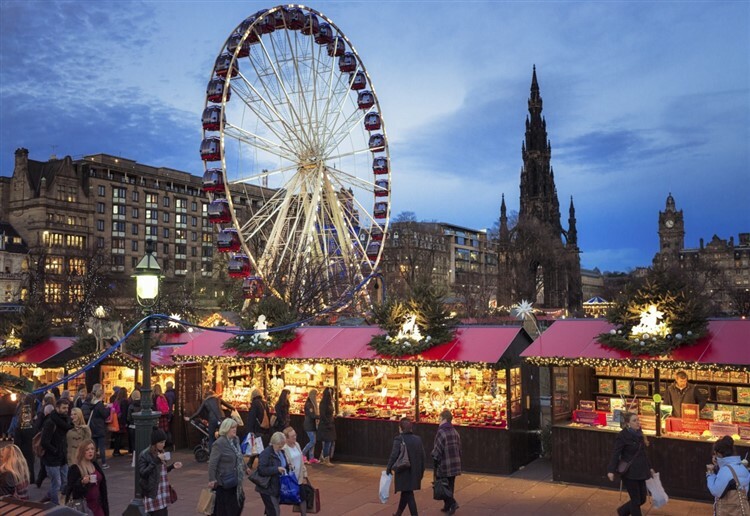 Take in the glorious architecture of the Royal Mile, enjoy the Boxing Day sales on Princes Street or explore Edinburgh's Christmas Markets. 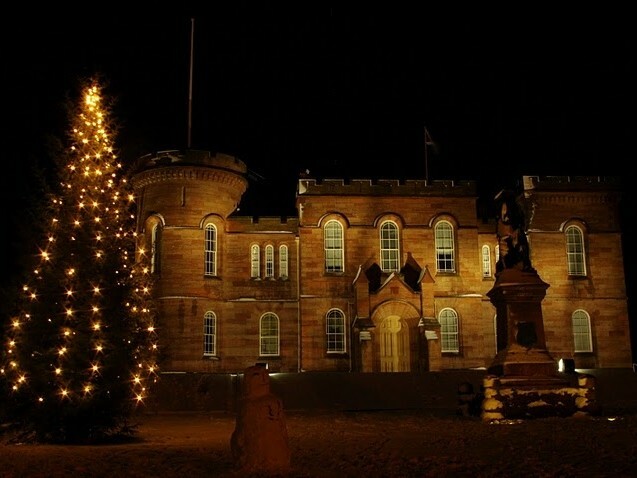 Back in Stirling, dinner is followed by lively Scottish entertainment to round off your festive Christmas holiday. 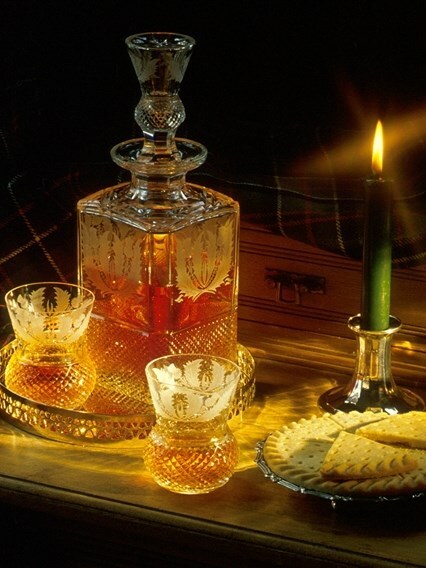 We bid you farewell and 'haste ye back'. 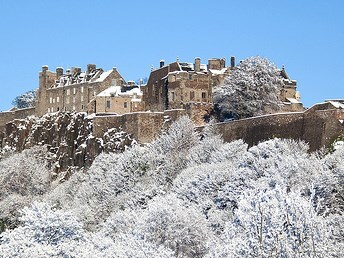 Our base over Christmas is set in the heart of Stirling, just a short walk from Stirling Castle. 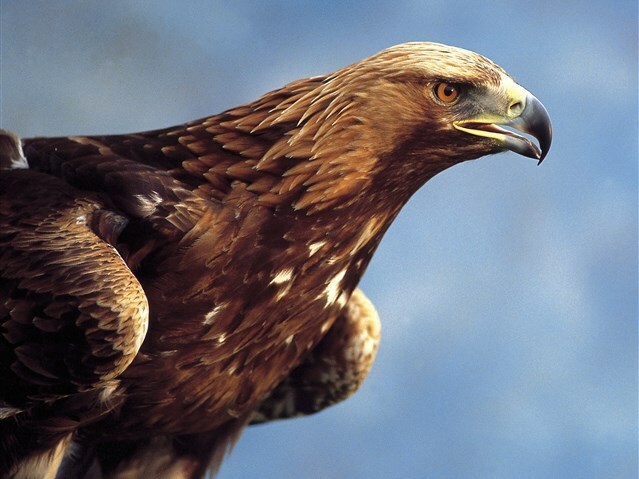 The Highland Hotel is 4* and its restaurant boasts an AA Rosette. Its free car park allows you to drive to your holiday and join at tour base, should you wish, whereas the leisure club, including swimming pool, is a great place to relax. Built in the 19th century as the High School, this historic building still houses a working observatory in its roof. Rooms are well equipped and the restaurant and bar provide comfortable surroundings to unwind in a festive atmosphere. 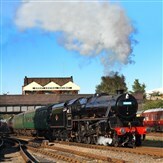 Situated close by the railway station this comfortable Victorian villa hotel offers all rooms en suite with TV and radio, telephone and hospitality tray. The dining room is proud of its locally sourced Table d'Hôte menu. Situated in the centre of Inverness, the 4-star Mercure hotel boasts an excellent waterside setting overlooking the River Ness. 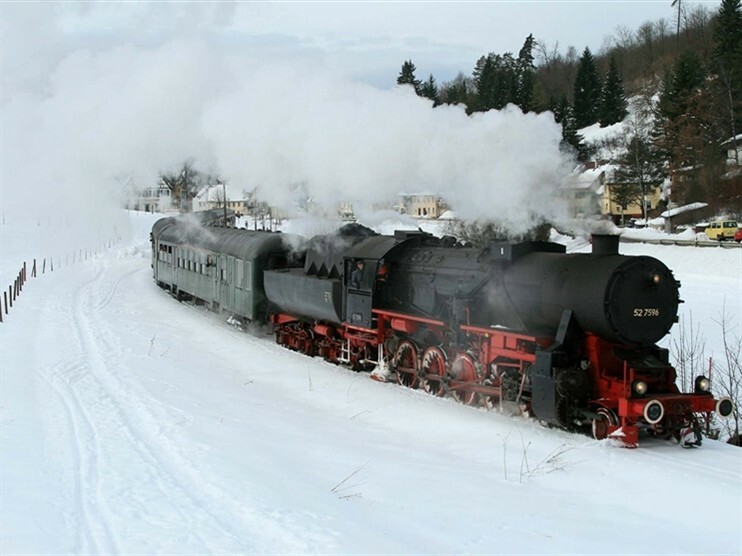 The railway station is conveniently located just 200 metres from the hotel. The recently refurbished, stylish bar and restaurant have fantastic views. The hotel also has a gymnasium. The modern bedrooms are well equipped with free Wi-Fi, TV, hairdryer and tea/coffee making facilities.